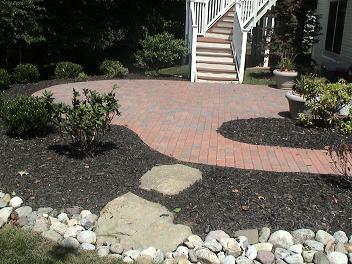 Start by cleaning up the yard, removing dead branches, pruning the shrubs and trees, weeding and edging the beds, edging walks, drive, and curb, and mulching your beds. If you're in an established neighborhood, remove overgrown shrubs encroaching on the sidewalk or ones that are too big, don't flower or are out of style. Consider what plants might be beneficial. For example, use of screening plants can be used to hide anything unsightly, such as your neighbor's garage door or the trash cans. For your foundation evergreens are better than deciduous shrubs. Think about the bloom times to help provide color throughout the season. Your back yard is an extension of your living space. It should be a comfortable spot to hang out. Thus, a deck or patio with a sitting wall will give your family a nice space to enjoy the back yard and provide an entertainment space. Other options might be a fire pit, a fountain, and some lighting. Make sure that your outdoor furniture, deck, and patio are clean. 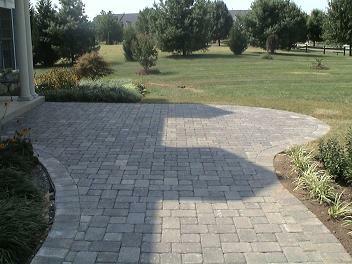 Power washing and the replacement of cushions are inexpensive ways to improve these areas. 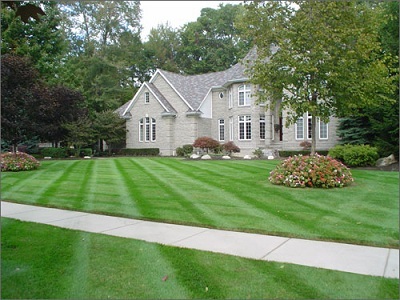 A lush lawn that's well-graded and healthy is appealing. 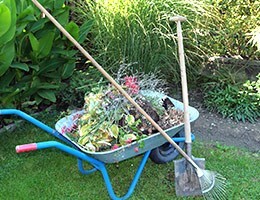 Keeping your lawn beautiful will make a difference. 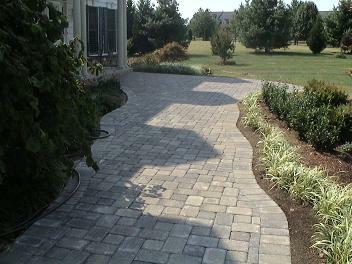 A well designed and maintained landscape will complement your home's architecture. 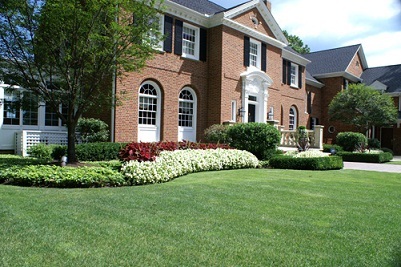 The right plants, flowers and shrubbery can greatly enhance the curb appeal. 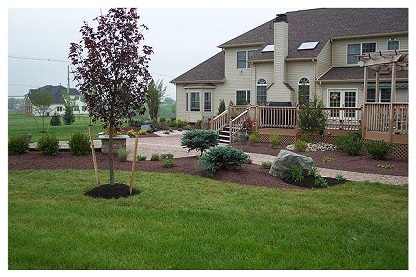 Please take a look at some some of our past lawn and landscaping work below. "Thanks again for getting us on the schedule so quick. I just want to let you know that the crew did excellent work - everything looks great! Please let Jesse know as well". Many thanks.